You can use it as a professional voice recorder to record business meetings, songs, voice, playing music instruments and so on. It's fantastic! And you may use it as regular voice recorder with simple, nice and easy to use interface. 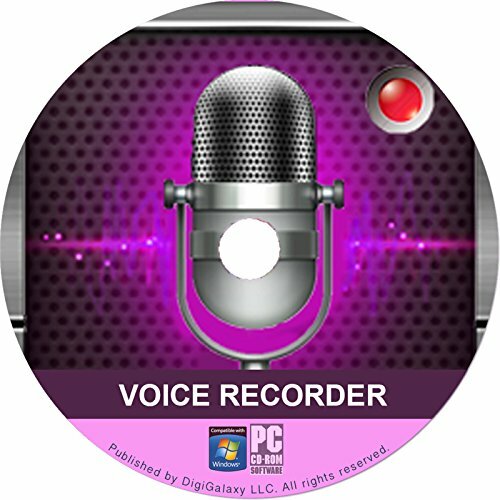 Voice Recorder is a high quality voice recording application. This app is simple UI, instant start and easy to use. Supported operations in this Version:: 1. Record to high-quality file in any file format (.mp3, .aac, .wav, .aiff, .m4a, .wma, .flac) to your device. 2. Simple user interface, instant start. 3. Storage and directory change. 4. HD Recording. 5. Save/pause/resume/cancel recording process control. Record to high-quality file in any file format (.mp3, .aac, .wav, .aiff, .m4a, .wma, .flac) to your device. Simple user interface, instant start. View More In Portable Recorders. If you have any questions about this product by DigiGalaxy LLC, contact us by completing and submitting the form below. If you are looking for a specif part number, please include it with your message.